The Sims 2: Ultimate Collection is absolutely free on Origin right now, and contains 8 expansions and 10 "stuff packs". 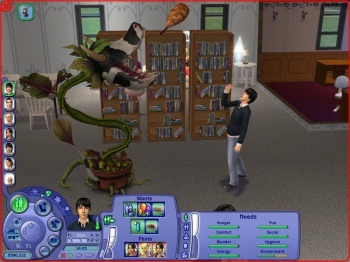 It's been ten years since The Sims 2 first launched, and though EA is pulling the plug on official support for the title, it's sending it out with one last hurrah, giving away the "Ultimate Collection" version of the game, which contains all 18 expansion packs, absolutely free on Origin. Origin users simply need to click on the "redeem a product code" in their Origin client, and enter the code "I-LOVE-THE-SIMS" to receive their free game. When support for the title ends, players will, of course, still be able to play it (and new players will still be able to purchase it), but EA will no longer release content or technical fixes for the game. It will, however, continue to offer for support to those who contact the company for help, but the game as it exists today will remain unchanged going forward (with the exception of user-created mods). The Sims 2: Ultimate Collection includes the base Sims 2 game along with "every single The Sims 2 expansion pack and stuff pack." The long list of included content includes 8 expansion packs and 10 "stuff packs" - which simply include new items (such as furniture). For those of you who booted up the game and are looking for away around its minuscule 800x600 resolution, the folks over at Sims VIP have put together a guide for unlocking higher resolutions. You only have until July 31 at 10AM Pacific to redeem the code for your free game to your Origin account - after which The Sims 2: Ultimate Collection will return to its regular price. The next installment of The Sims series, The Sims 4, will launch in September of this year.